I can’t wait for the summer holidays! 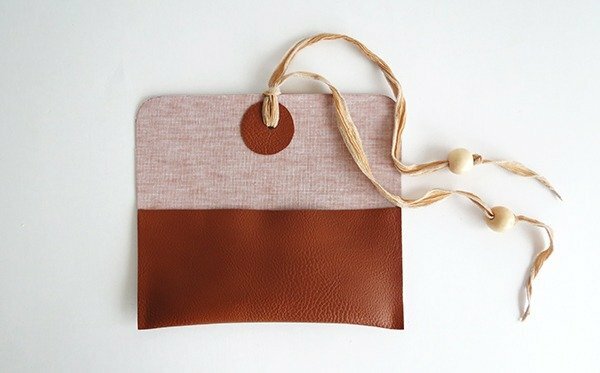 But there is still a long month to wait…so in the meanwhile we can make stuff for the beach, or any other sunny place you gonna go. 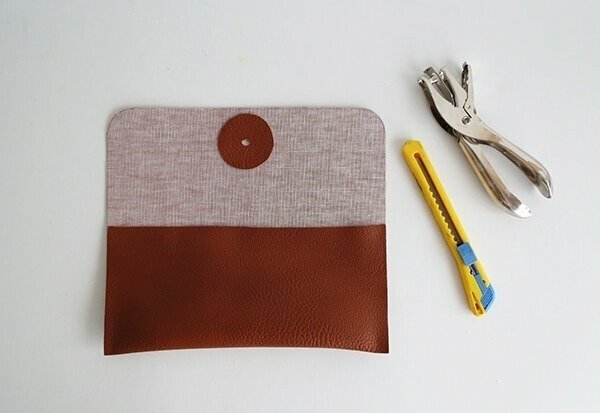 Today, let’s make a sunglasses case. 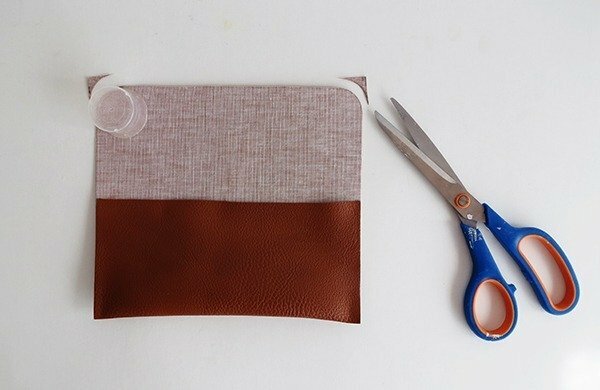 It’s easy to do and you don’t even need a sewing machine for this project. Trim the corners of the flap. You can use a small round recipient as guide. 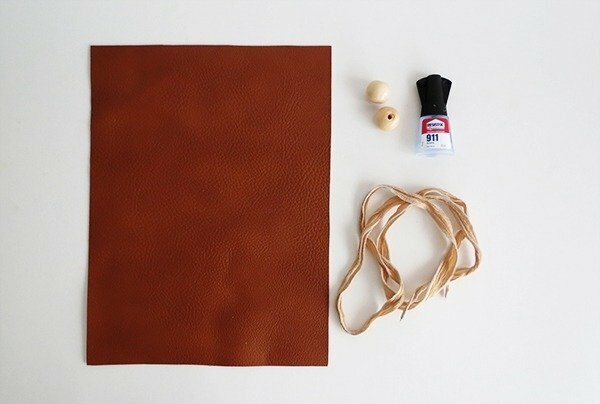 Cut a leather circle, and glue it inside the flap. Try to center it. In the middle of the circle make a hole to pass the ribbon. You can use a punch or a cutter. Pass the ribbon in the hole and attach it. Put a bead at each end of the ribbon and make a knot. 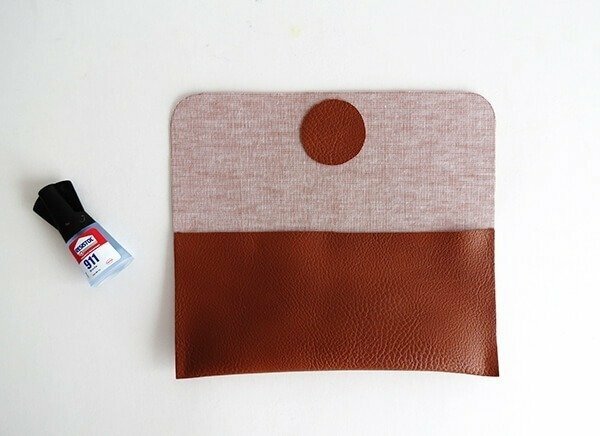 And your new sunglasses case is ready! To close it, you just have to wrap the ribbon around the case and slide the beads under it. 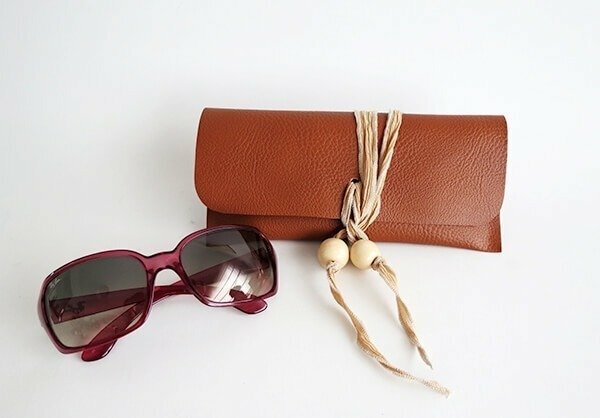 Now you can enjoy the summer with a new classy sunglasses case! 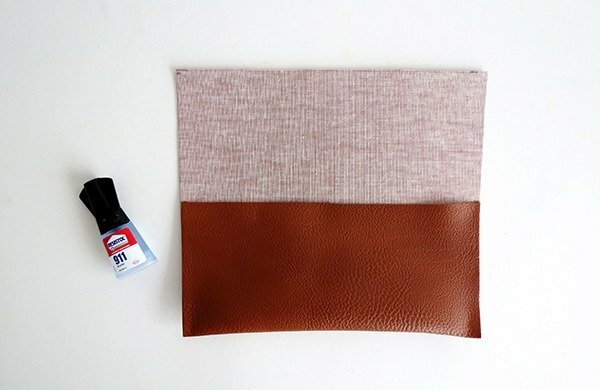 If you want to give a try and make a sewn pouch, you can make one in 30 minutes with this tutorial! Very clever idea! Thanks for sharing. This case looks like fun. The ribbon keeping it shut is a fun touch. I want to protect my new sunglasses since I take them around with me a lot. They don’t fit in my old case since they are just a little bigger.